Link NYC is rolling out as we speak and bringing super fast WiFi, plus free calls and phone charging, along with other bells and whistles to NYC in 2016. The new units will replace the old phone booth infrastructure that has become so outdated over the past 5-10 years, bringing a refreshed look to the streets along with all of that high tech. I must say I am quite excited to see these units up and running in the same way people must have been excited to see phones being placed on the street, whenever that was. 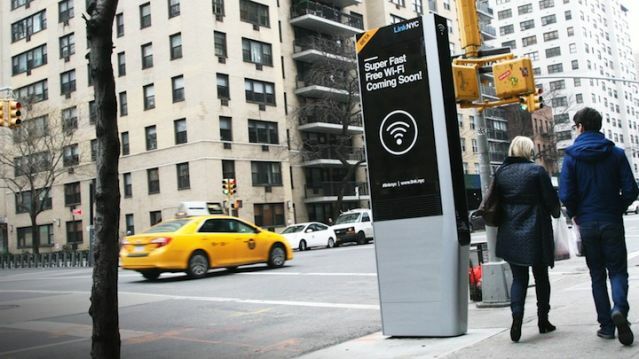 Unlike the phone booths in NYC, running these digital kiosks will not be free and to offset the cost of installation and upkeep, LinkNYC will be running digital video and still ads. There is talk of renewed OOH business models which will make the advertising more local, allow smaller businesses to participate and generally make these kiosks less obtrusive than thier older counterparts, but I remain skeptical. Only time will tell.